According to Levinas, the conditions of our own personal freedom are not that we must gain understanding of the world or power over it. No, the key to personal freedom, the satisfaction of our truest desire, is to leave our desire to understand and to have power unsatisfied. That is, to let the other be free. Have you ever fully understood another human being in the way that you understood a principle of mathematics? Have you ever had power over someone else the way a sculptor has power over stone? Many have tried to gain such power but this never leads to freedom. In fact, such power-thinking enslaves us. 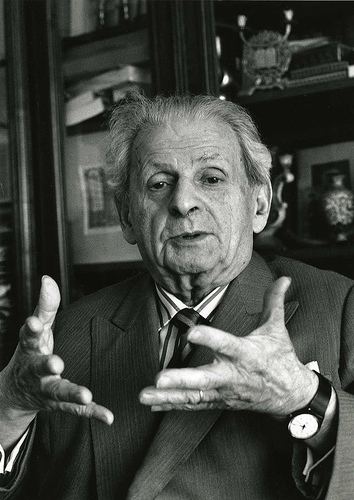 Levinas was a thinker in the French academic tradition and he was also a deeply insightful practitioner of the Jewish faith. He experienced loss and suffering during the persecutions of the Second World War. He understood very deeply what power is. A strong human seems to exert total control over a weak human: forcing the other to say or do anything, controlling or destroying the other's body, and even terrorizing the other's soul. Yet we know that the spirit of humanity is not composed of matter and that the threat of death or violence cannot determine for sure how the human spirit responds. Even if you subjected a person to 24-hour surveillance and knew every material detail of that person's activity, there would still be a mysterious inner life that you did not perceive. This is not because humans are magical or otherworldly. Rather, the fact that person's thoughts and beliefs are not within the power of another person to control is a basic and concrete fact of our human existence. For this reason, we have language, art, play, and yes, even philosophy, which try to explore that vast, indomitable realm that is the human spirit. Levinas learned the hard lessons contained within the worst things that life can dish out: as a result, he gained a deep appreciation for the best that life has to offer. Our technological society encourages the notion that philosophy, language, art, and even play have definite ends. That once we understand the activities of humanity we can control them, and at last be happy. Levinas realized that this line of totalizing thinking leads us away from, not towards what it means to be human. To be truly human is to allow the other to be other. To let the actions of people, or the meaning of art, or the reason for playing, be. We will not fully understand these things. For if they could all be allotted in a series of propositions, they would not be human, they would just be data. This kind of letting be, of not needing to fully understand, is not so rare. A mother loves her children, even if often she doesn't 'get' them. An artist, not making art at the moment, sits back and lets the raw beauty of the world roll over him, without trying to capture it. And finally, when we meet the stranger whose ways and motives are strange to us, we know that it is fear which causes us to think of the stranger as an object to be avoided or controlled. 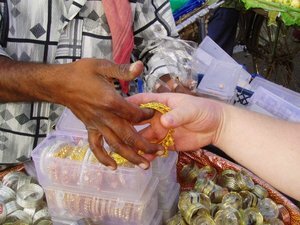 It is compassion which allows us to let the stranger be a human, with thoughts and motivations like our own. I invite you to reflect on whether you try to grasp or control people... or let them be. If somebody else's actions don't make sense to you, do you become angry or afraid? Do you try to tell yourself a story of what that person is rather than who, so that you can regain control? If we are Christians—and as Levinas says, if we are truly human—we will have a response to the stranger that transcends whether or not we have power over them, even whether or not we can understand them. We experience being called to relationship: the relationship of I to you. How often do you anticipate how a conversation will go before you have it? How often do we give a negative interpretation to somebody else's words or actions without first asking them what they mean, without even letting try to be something other than what we've decided they are? And finally, how often do we anticipate what God would say or do, without even stopping to pray and reflect on the mystery, on the fact that we do not know and must seek guidance? The experience of letting the other be other can be uncomfortable because it involves not knowing. It involves being powerless over people. But it an acknowledgement of the deep truth that was already present all along. We never had any power over anyone. Our freedom comes from showing compassion. From letting the other be themselves and not what we decide they are. The more we experience this, the less we worry about being powerful and powerless. The more we practice it, the better able we become to, as a way of life, let it be.